Most of us already know that too many of our Early Learning teachers are underpaid, undervalued and overworked. Low teacher pay is one of the main reasons that Early Learning programs aren’t able to attract and keep highly-skilled teachers. This, in turn, undermines program quality and hurts the ability of young children to thrive in safe and stable educational environments. Make just over $16 an hour compared to almost $40 an hour for kindergarten teachers. Earn such low pay that as many as 43% of preschool teachers in California rely on some type of public assistance, compared to only 21% of the U.S. workforce overall. Often earn significantly less than K–12 teachers even with a Bachelor’s degree (BA). 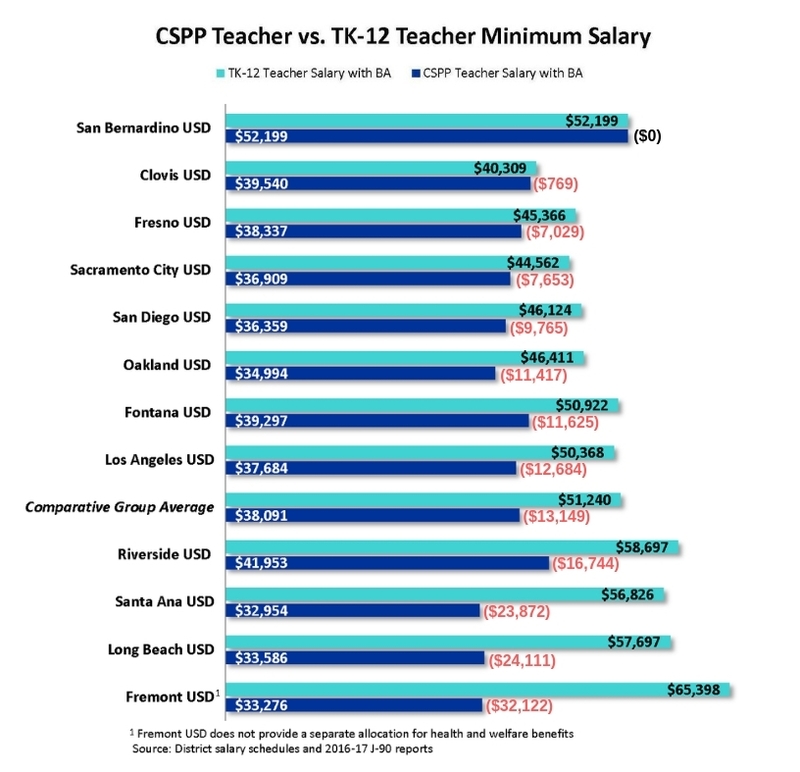 In order to better understand the pay difference between state preschool teachers and their elementary school counterparts here in California, Early Edge California partnered with the Los Angeles Area Chamber of Commerce and the Advancement Project to lead an analysis that compares the compensation of California State Preschool Program (CSPP) teachers to TK-12 certified teachers in twelve California school districts. 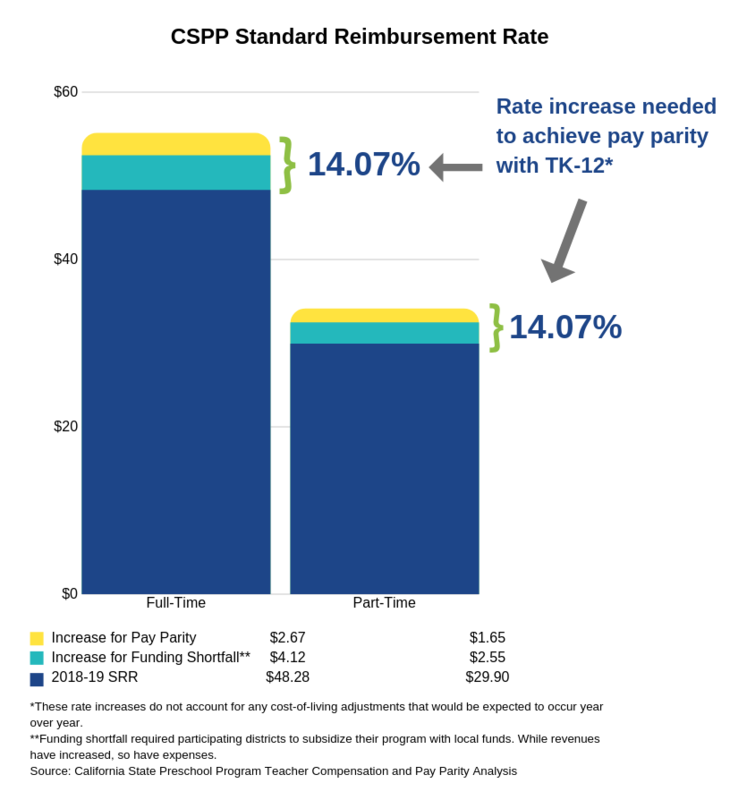 View the full report by School Services of California–Teacher Compensation and Pay Parity Analysis Final (2019). California state preschool teachers across the state with a BA earn, on average, 26% less than TK-12 teachers with the same level of education. This means that, on average, California State Preschool teachers with a BA earn about $13,000 less annually than TK-12 teachers ($38,091 compared to $51,240). In one school district, state preschool teachers earn $32,122 less–or nearly a 50% disparity in salary for similar educational qualifications. In order to close this salary gap, CSPP teacher salaries would need to increase by 26%. This means that reimbursement rates–the amount of funds the state provides to child care programs that serve low-income children–would need to increase, on average, by about 14%. Increasing state preschool teacher starting salaries to be equal to that of TK-12 teachers would require their educational qualifications to be similar as well. However, the current qualifications for state preschool teachers do not include a teaching credential or BA, which are typically required for TK-12 teachers. It is important that we create pathways and provide the necessary supports to encourage our Early Learning teachers to attain higher qualifications. Early Learning teachers play a critical role in setting kids up to succeed. Children benefit the most from programs when teachers are properly trained and well paid, so ensuring that teachers receive fair pay that goes along with the higher qualifications they need to do their jobs well is key to improving California’s Early Learning system. Special thanks to First 5 LA for funding this report. 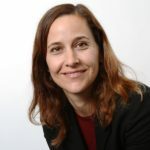 Marcy Whitebook et al., “Early Childhood Workforce Index 2018” (Berkeley, CA: Center for the Study of Child Care Employment, University of California Berkeley, 2018).